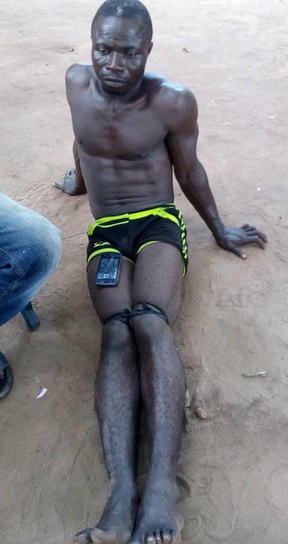 A transformer cable thief has been nabbed yesterday in Ogun State. 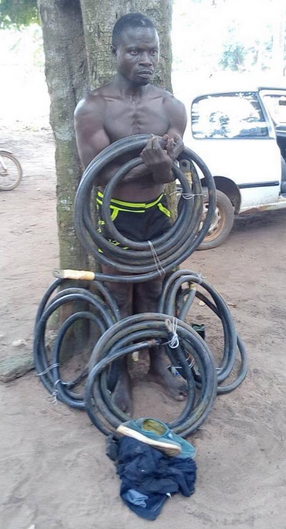 The notorious thief is said to be fond of stealing electric cables in both Ipokia and Yewa South Local Government Area of the state. Luck however ran out on him yesterday as he was caught and handed over to officers at the Ilaro police station. » Photo: Female Thief Caught, Disgraced In Banking Hall By Being Made To Wear Tag "I Am Thief"